This piece first appeared on Runaway Widow. See the author’s bio and contact info below the post. The line of fellow mourners who came to pay their respects to my family at my husband’s wake was overwhelming. It was arranged so quickly and happened so fast I felt like I was not really there. He would have been impressed that he was so loved and respected by many people from work as well as friends and family. I spoke to people, but felt like I was just watching this happen from someplace else. Over and over people said, “please call me if there is anything I can do”. That was nice. I have never felt comfortable speaking to the people who have just lost a loved one. Many of the wakes or funerals I have attended were for the passing of a friend’s parent. The tragic ones like the death of a young mother or child are terribly sad and there is really nothing you can say to help the matter, it is just sad. When a spouse dies a part of them dies as well. But what is a friend to do? Well, I did not want to call anyone. I knew that! I could barely speak. And I avoided the phone like the plague. My friends, cousins and sister lived and slept in my house with me for the first 2 weeks. They made the initial phone calls. They answered the phone. They took care of the stuff. They organized food. They poured the wine. They made more phone calls. That’s what friends and family are for. Those first few days are raw but you are doing stuff. You need to make “arrangements” even if you were never really sure what those arrangements were supposed to be. Family and friends are going to come. Food should be available. People need to be called. Obituaries need to be written. Services need to be scheduled. And there should be food. I have had the unfortunate opportunity to bond with a group of women in my bereavement group, as well as seek out friends who have also gone through the loss of a spouse. We are going through our grief differently, but we are all going through it. We discussed some of the things that really helped us at the beginning and some things that have been most difficult. Show up. 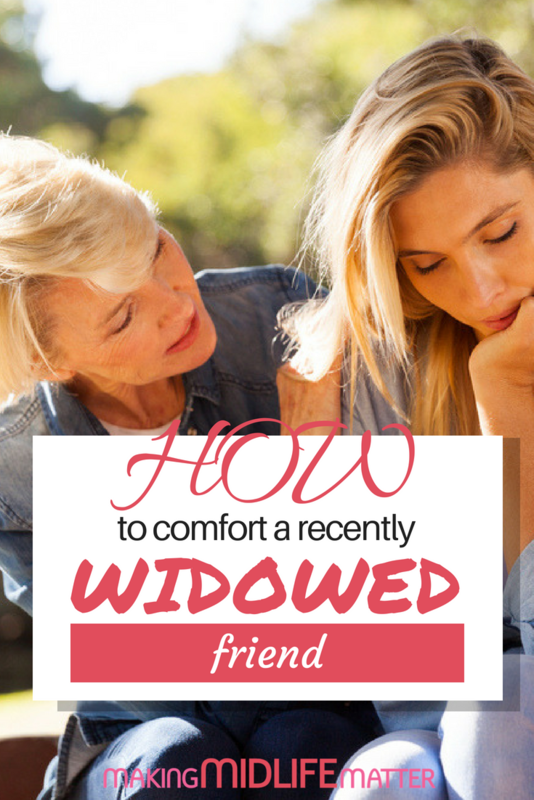 The widow may not know what to do and is most likely numb. Show up. If there is a tradition she is upholding such as a memorial service, wake, funeral, sitting shiva – try your very best to get there. Stop by her house and bring something – anything. Talk to her and let her tell her story. She may want to talk. If she doesn’t want to visit, just you stopping by was supportive. Take her for a manicure. Arrange to have her house cleaned. She will remember that you were there. Bring food. The last thing the widow wants to do is cook food. She may eat but only if someone has kindly brought over something to eat. She does not want to go out to the store yet. She may have people stopping by. She has no idea how to shop or cook for one. Share a meal with her and make her a cup of tea or a glass of wine. Send a gift card to a nearby restaurant. She needs to eat. Sleep over. She is not used to being alone. She is fragile. Be there when she wants to cry or scream. My sister and cousins slept over, the first 2 weeks. I had not accepted the fact that my husband was not coming back. Having a sleepover with family helped me transition. I wasn’t ready to be a widow. Send a card with a message. It is so nice to know that so many people took the time to go out and buy a card to comfort you. Many people add a fond thought about the spouse. Some people send books that could be helpful. I wanted to know I was not alone and appreciated reading about others who had experienced grief or had a fond memory of my husband. Mass cards purchased with the promise that the spouse would be prayed for at a service were comforting, even if that faith was not always practiced. Help celebrate the life. Wakes and funerals are generally somber events. Some people have Memorial services immediately and some people wait. Some people ask for donations in the loved one’s name. Do something soon for close friends and relatives to celebrate the person they loved. Go to the beach to float funeral flowers or candlelit lanterns out to sea to help make your friend feel connected to the one they have lost. Most importantly, don’t be afraid to talk about the deceased. Share funny stories or make references to things about the person who is gone. Say their name. Hearing other people fondly mention the spouse comforts the widow and enables her to speak about him as well. Hug her in public if you haven’t seen her. She is a mess. She made it out in public. It was really hard. Attention to her will probably turn her into a sobbing spectacle. This happened to me in more than one place. Small things can trigger tears quickly in those early months so be sensitive. Tell her he is in a better place. Really? He was supposed to be here! He shouldn’t have left and she does not feel better about the fact that he is gone. She may be having an angry day – or a guilty day. There are all sorts of days. There is no true progression through grief. Just getting through it. He would understand. Say she will find someone else. She doesn’t want anyone else. This was not supposed to happen. She wants him back again so why isn’t THAT happening. It also implies some pressure. Like she has a new job to do – go find a replacement. She needs a friend, not a task master. Judge. Everyone grieves differently. She may withdraw. She may act silly. She may get depressed and cry a lot. She is working it out and your unbiased love and support is most helpful. Push her to make decisions. Can she afford to stay where she is? Should she work? Should she sue? Should she give away all of his stuff now? Should she sell stuff? She needs time to go through her grief. Many decisions can wait. Immediate concerns need to be addressed. Taking over the jobs that her spouse always did will be unsettling. Help her do some of those things. Remember, she needs to take care of herself and treat herself kindly right now and so do you. Be kind and patient. My wise widowed aunt sent me a lovely handwritten card when my husband passed. She wrote a memorable quote from Kathie Scobee Fulgham whose father died. He was the commander of the space shuttle Challenger that exploded in 1986. Kristin Divers, at the age of 51, unexpectedly became a widow. She spent a lot of time reading about how to live after the death of a spouse and after enduring a very painful holiday decided the best plan for this first year was to runaway. She started her blog when she went by herself to Thailand so that she could avoid being home for her first wedding anniversary without her husband as well as the one year anniversary of his passing. After flying for close to 22 hours, she met up with a tour group in Bangkok. She traveled a bit during the first year as a widow so that she could run away from the pain and the memories. She engaged in therapy and had a lot of support from neighbors and friends to help her get through the first year. After the big trip she struggled with daily activities and tried to positively move forward into her new and different life. It is not a life she asked for, but once your husband is gone, your life is forever changed. She found joy again, at first in very small things. Over time she engaged in more day trips alone or with friends. Taking time to do something, anything, can be very helpful and eventually you do discover a new normal. It is not the same, but there could be some unexpected surprises along the way. 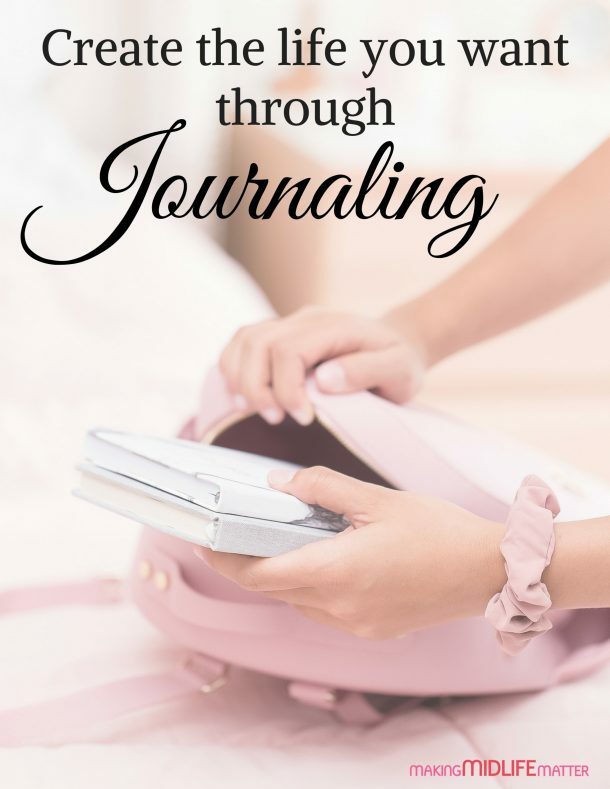 As she continues on this path of grief and loss, she shares her challenges, adventures and travels. If she can inspire others to try new things simply for the joy and wonder it brings, then she knows she would have made Mike proud. If you are looking for support or are going through similar circumstances, I urge you to check out Kirsten’s blog.